In Folk Art > Show & Tell. 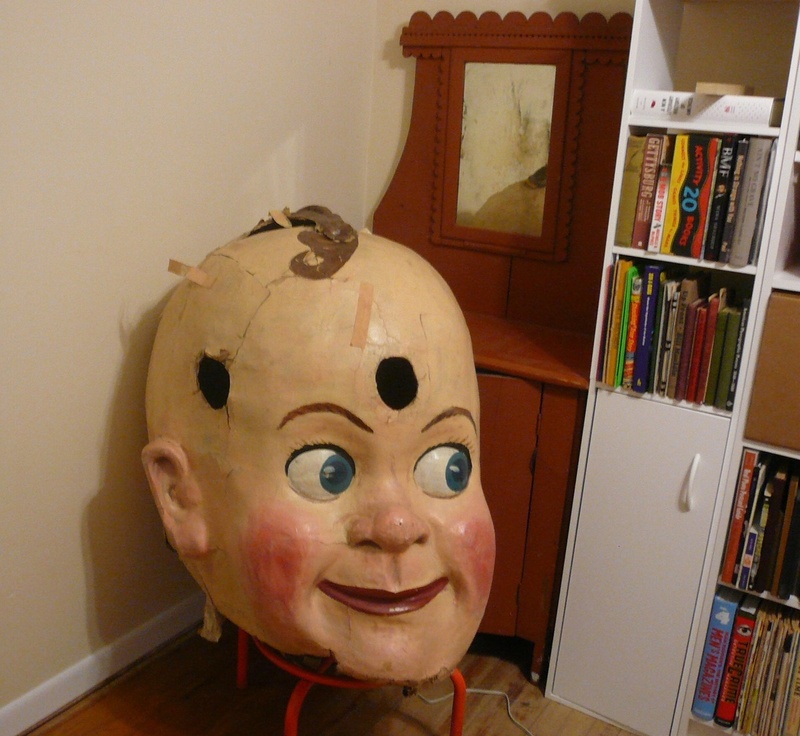 A large paper-mache-head circa 1930. One of a pair known made in Michigan. lights or for breathing? Original Paint. A Parade head? Shop display? Advertising figure? That is pretty darn kool and creepy, which I like. Oh wow, this scares me. It looks like it could come to life and chase you., LOL. Keep a watch on those eyes Jim Linderman. This looks like something you would see in a parade during Mardi Gras!